It's obvious that bad bosses hurt your productivity, so what do people working for bad bosses do about it? Not much. Belittling. Sometimes it's necessary for bosses to deliver feedback about your performance that isn't easy to hear. But some of them give you the strong impression that they enjoy it. They don't just give you important feedback, they relish the act of putting you in your place--even more so if they have an audience. While you don't necessarily want a boss who can't deliver tough feedback, you definitely don't want to work for someone who enjoys criticizing and blaming. If that's the kind of boss you have, get out quickly, for the sake of your health. Temper tantrums. Like everyone else, bosses have bad days. 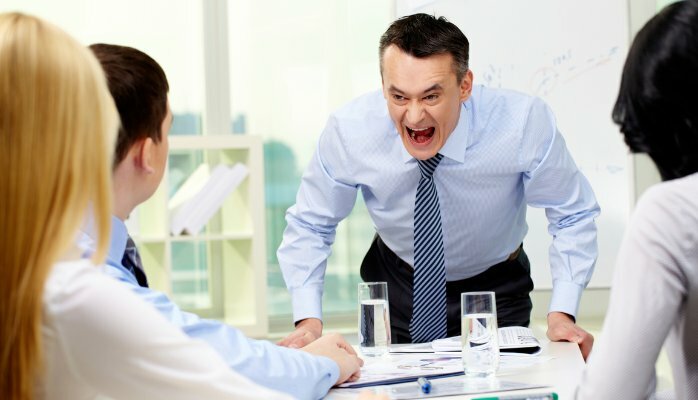 Pressure might make your boss lose his temper, but that shouldn't be happening on a regular basis. If your boss flies off the handle anytime something doesn't go exactly the way he wants it to, it's time to reconsider your employment. Whether it's directed at you, his bosses, or just the forces of nature, tantrums set a negative emotional tone that reverberates throughout your workplace. They make people timid and cautious. People stop speaking up and sharing their creative ideas because they're afraid they're going to get slapped back down. If you hear your boss yelling down the hall, and instead of thinking 'What in the world is going on?' you're thinking 'Here we go again,' then it's time to move on. Unreasonable expectations. Some bosses see their employees the same way that young children see their teachers--as having no identity outside of their work. They can't quite wrap their minds around the importance of family obligations, hobbies, or anything else outside of the office that doesn't serve them. These are the bosses that expect you to put in unreasonable hours that serve little purpose. If you get the feeling that you're disappointing your boss every time you leave for the day, then you're working in an unhealthy environment. Failure to lead by example. 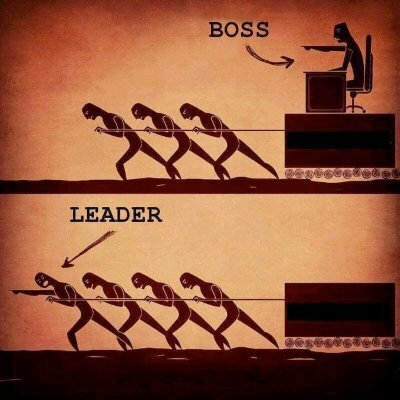 If there's one thing that drives almost all employees crazy, it's a boss who doesn't walk the talk. It's extremely difficult to feel inspired and to take your job seriously when the person who sets your standards doesn't live up to those expectations herself. If your boss is a hypocrite, it's time to go. Having a bad boss is more than just irritating--it can cause very real damage to your mental and physical health. So, if you've got a bad boss, stop telling yourself to buck up. Instead, do an objective tally of the toll it's taking on you, and, if it's time to go, get busy today. What's the worst boss that you've ever worked for, and what did you do about it? Please share your thoughts in the comments section below as I learn just as much from you as you do from me.